When trying to cram an entire story of a rock band like Queen into a 120-minute movie it means making a decent amount of sacrifices and editing. Clearly, iconic scenes, like during Freddie Mercury’s first show with the band, there’s clearly no space to include every moment of every album, tour and everything else Queen went through during their 20-year career. In addition, large periods of time need to be shown in fragments or not even shown at all. That being said, the Oscar-nominated Bohemian Rhapsody is compiled with a plethora of fact and fiction. How accurate was this critically-acclaimed cinema with Freddie Mercury’s life and is this legal? First, did Freddie Mercury change his name? Yes. The Bohemian Rhapsody true story made it known that Mercury was born Farrokh Bulsara on September 5, 1946, in Stone Town, Sultanate of Zanzibar in eastern Africa. Mercury started going bytes nickname “Freddie” when he was at St. Peter’s School, near Bombay (now Mumbai). In the spring of 1970, when Freddie he formed the band, Queen, he also changed his last name from “Bulsara” to “Mercury”. Furthermore, before flashing back to Mercury’s younger years, the movie enters Mercury’s home in 1985 while he was preparing for Queen’s performance at Live Aid. At least six cats were shown around what is presumed to be his luxurious London townhouse. Mercury is also shown on the phone asking the person on the other line to put one of the cats on the phone when he calls from tour. Although it is is not clear whether this exact scene happened, Mercury’s love for his cats was completely true. However, it would be safe that Mercury acted similarly to this. “Mercury even dedicated a song, “Delilah,” to his favorite cat. Finally, the lie. The movie falsely described the formation of the band Queen and made it much simpler than it was in real life. In the film, Freddie Mercury accidentally entered into a 1970 performance by Brian May and Roger Taylor’s band Smile. Mercury meets up with his two future bandmates after the show, “coincidentally” right after their bassist/singer Tim Staffell quits. They’re skeptical of Mercury at first, but he wins them over when he delivers an impromptu rendition of their song “Doing Alright”. Mercury actually met his future bandmates in a less impulsive manner. At the time Mercury was attending Ealing Art College in London, he met and became friends with Tim Staffell, who was then part of the band Smile with guitarist Brian May and drummer Roger Taylor. Mercury became a fan of the band Smile and got to know May and Taylor. May recounted Mercury annoying the band to let him become a member, but they resisted until Staffell left the band in 1970. The fibs compiled in this film, however, are not an issue of the law. Under the First Amendment of the United States Constitution, this movie is protected. The filmmakers were not looking to deceive the millions of movie-goers. This was the film-maker’s “free interpretation” of Mercury’s life. 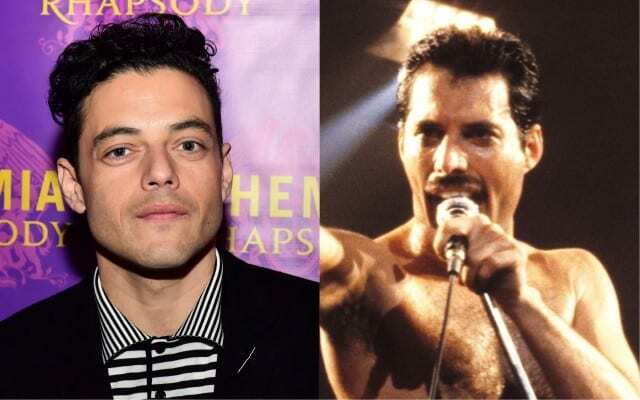 Although Bohemian Rhapsody is compiled with many truths, fibs, and different interpretations about Freddie Mercury’s life, it is undeniable that his story depicted in the film was nothing less than an amazing, goose-bump-giving story.